what a neat idea with the waist band. 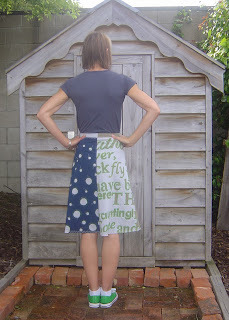 Ooh - cool skirt! I just made one and did not enjoy sewing on the folding elastic. Your version is awesome!